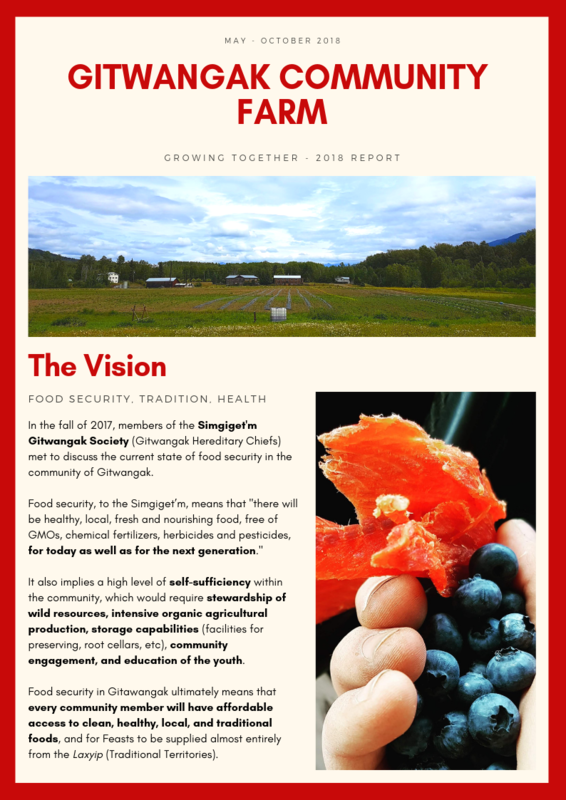 In 2017, the Simgiget'm Gitwangak Society (Gitwangak Hereditary Chiefs) called a series of planning meetings on Food Security for the community of Gitwangak. In 2018, the Gitwangak Community Garden was established with generous funding from the Kassandra Trust. SES is a supporting partner for this ongoing initiative. 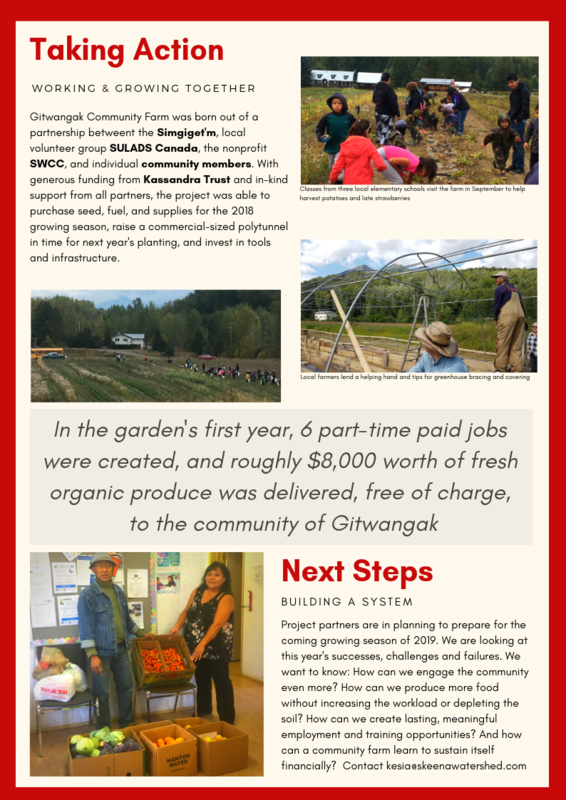 Click on the Project Newsletter below to learn more about the food security movement in Gitwangak.